Ms. Clark, CPA, started with Xanterra in 2004 in the role of Corporate Controller, and was recently promoted to Vice President, Finance. In this position she is responsible for corporate and field accounting, treasury, financial reporting, financial systems, mergers and acquisition accounting, and corporate taxation. Prior to joining Xanterra, Clark spent 12 years leading accounting for a variety of businesses in the Denver area ranging from software, cable television, and telecommunications software and services. In these roles, she had primary responsibility for accounting due diligence, purchase price calculation, and operational integration of more than 50 merger, sale and asset acquisition transactions. She also has public accounting experience from her time working in the audit department at the Denver office of KPMG, leaving there as supervising senior accountant. Clark earned a BS in Accounting from the University of Wyoming and has held an active CPA license in Colorado since 1990. 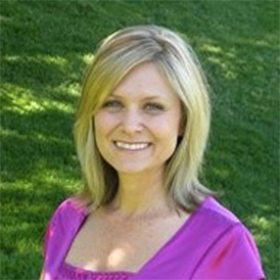 She is a member of the Colorado Society of Certified Public Accountants.